In this lesson, we will learn how to write numbers up to 10 in digits and words. 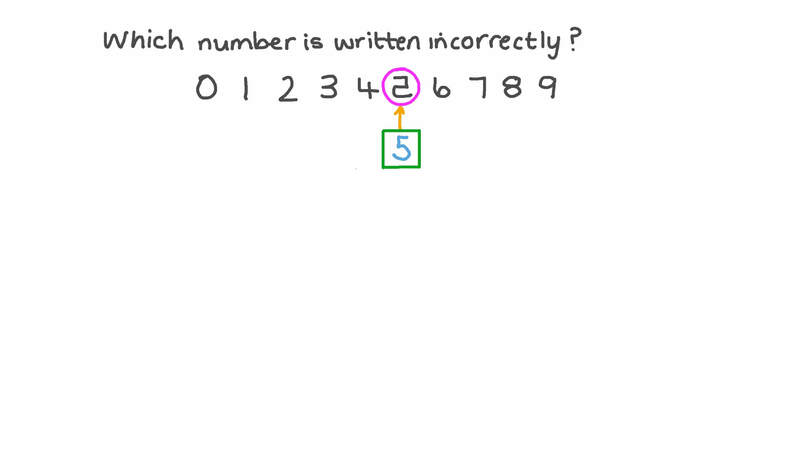 Which number is written incorrectly? How many 5s can you find? Write the number three in digits. How many 9s are there?